Finding the best gun safe is a tricky proposition, but in the end it all comes down to safety and security. Regardless of how fancy it may look or the number of extra features that gun safe manufacturers like to boast about, a gun safe’s main purpose is to secure your gun from unwelcome intruders and protect the content inside even in unfavorable outside conditions. In that regard, the quality of the locking mechanism and the quality of the exterior are the two most important factors when it comes to choosing the best gun safe. But there are a lot of other factors that you need to consider, the volume and the capacity of the unit, the type of locking mechanism, the materials used for the construction and the basic safety precautions – child-proof, waterproof, etc.. – built in. We have scoured through plenty of gun safe reviews to find the ones that are in our opinion the highest rated gun safes on the market and we are proud to present you our top 10 best gun safes list. We are going to start with a quick comparison table of the top models on the market, followed by insightful reviews on every model. 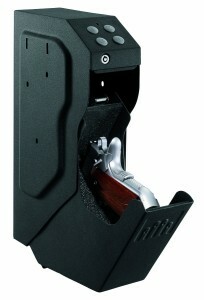 If you are not sure what to get and you are looking for an overall great gun safe, start with Stack-On PDS-500 gun safe. 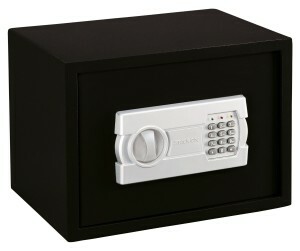 Priced extremely affordable, at under $50 through our discount link above, this safe can easily mount on the bottom of a drawer and can secure all kinds of valuables, from guns and pistols through documents, jewelry and money. 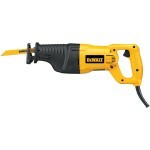 It has a decent capacity and you can fit 1-2 guns without any problems inside. Both the exterior and the doors are made of solid steel and the hinges are concealed for extra security. 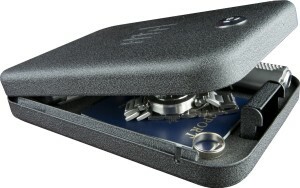 It uses a programmable electronic lock that times out after 3 incorrect uses. A safety override is also available to the user. Overall, if this is your first time trying to purchase a gun safe and you are looking for great security at a decent price, this is our most recommended gun safe. Unlike the previous model, the Barska biometric safe is a more advanced gun safe suitable for professional use, and it comes at a price that reflects that, although can still be purchased for under $200 through our link. 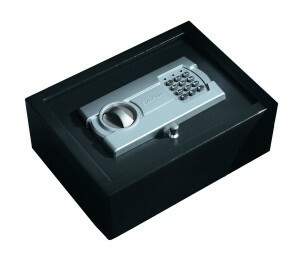 This is a biometric safe with a fingerprint pad that allows access to 30 predefined fingerprints. There are 2 backup keys for emergency situations just in case. The gun safe is spacious enough for you to fit in all the essentials and comes with mounting hardware included in the box. One of the highest rated gun safes on Amazon, this gun safe makes great use of the biometric technology thought by many to be the next wave in security advancement, since it offers increased security and a much faster route to access. GunVault’s line of gun safes are the first safes reviewed here that have been specifically designed to accommodate guns and guns only, unlike the previous models we reviewed that were more oriented towards accommodating other valuables as well, and this can be seen in this wonderful design. 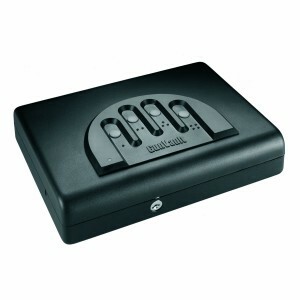 Easily accessible but still very discreet, the GunVault SpeedVault SV500 gun safe features a digital keypad (with a backup emergency key included), audio warnings for low battery and multiple mounting options to fit into any existing furniture. 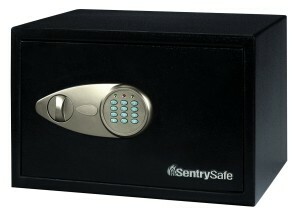 SentrySafe has another great safe that can be used for storing guns and other valuable alike and it comes at a very affordable price for under $100. 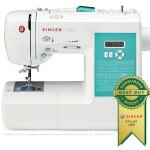 It features an electronic lock similar to the most of the other models we reviewed, with an override key. The exterior is made of pry-resistant materials, while the interior is carpeted. Two live-locking bolts and a sturdy steel constructions ensure the security of your guns at all time. GunVault MV500-STD gun safe is another model custom designed to fit one pistol or one gun at the time, and it’s one of the most portable gun safes on the market. With an interior foam lining to protect your firearm, this stealth and cool looking gun safe features a No-Eyes patented keypad technology that allows you to input your access code even in the dark. There is an audio indicator that can be turned off in case you want to switch to a stealth operations. It’s 11 inches in length and about 9 inches wide, the perfect size for a portable gun safe. The Gunvault GV1000S Mini Vault Standard Gun Safe is similar to the previous GunVault model, the main difference being in size and capacity and slightly in the design. Most of the previous features are available as well, the access code, the audio warnings, the No-Eyes technology, but it improves on the previous model with the addition of the biometric vault. The fingerprint pad allows for up to 30 fingerprints combination to be stored. The GunVault GV2000S multi vault gun safe is another great addition to the excellent line of gun safes manufactured by GunVault. Customers wanted a high quality, reliable gun safe capable of storing multiple guns at the same time, and this is what the multi vault model has been created for. This gun safe has 2 levels and is able to store 2 different guns at the safe time, while retaining the same quality of product that made GunVault one of the top gun safe brands on the market. Although we were focusing on gun safes in most of our top 10 gun safe lists, we took a small detour to make a mention for this incredible rifle safe with biometric access, from Barska. 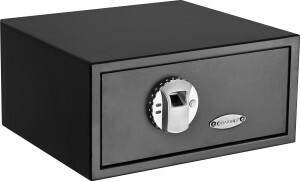 Although can be used for storing other valuable, this safe has been custom designed in the shape of a rifle and can fit most of the rifle sizes on the market. A little bit of the expensive side at around $300, this rifle safe offers biometric access and can store up to 120 different identities. There are also 2 backup keys able to override the lock for emergency situations. 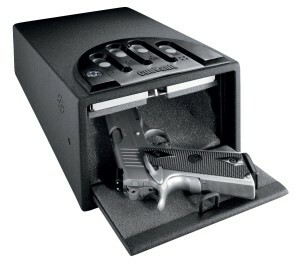 Stack-On PS-514 Personal Safe with Electronic Lock is quite similar to the Stack-On gun safe reviewed as our best gun safe, but it does not measure up in a couple of areas. 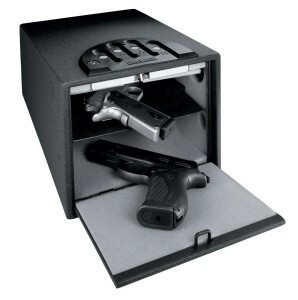 It’s still an excellent gun safe, affordable and versatile, with a removable shelf and a foam padded interior. The electronic locks times out after 3 incorrect uses, and the audio indicators for correct or incorrect code access can be turned on or off. The GunVault NV200 NanoVault with Key Lock gun safe is the smallest gun safe reviewed by us, which makes it the most portable gun safe on our top 10 list. It’s still able to easily fit full size 1911 style pistols, while at the same can be used for storing other valuables, such as expensive watches or documents. It has been received very well by customers, with an average rating of 4.4 out of 5 on Amazon and it meets TSA’s airline firearm regulations and it’s considered one of the best home safes.